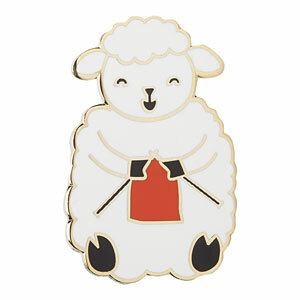 Ewe won't feel sheepish with this pin! A sweet little sheep is happily knitting away. 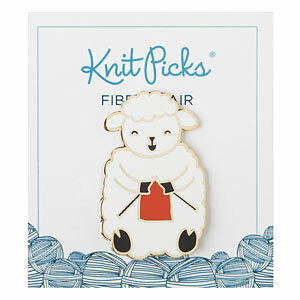 You can show off your love of sheep and knitting with just one pin! The pin is really cute but the back doesn't stay on so. It's fallen off so many times that I had to stop wearing it so that I don't lose it.